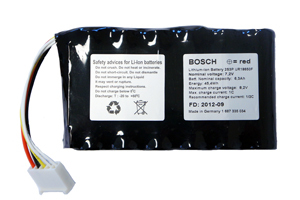 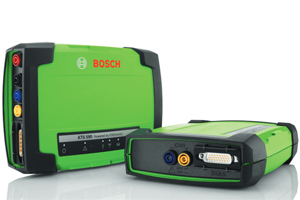 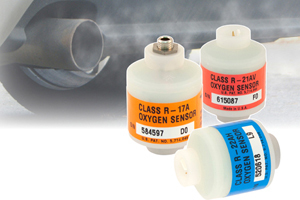 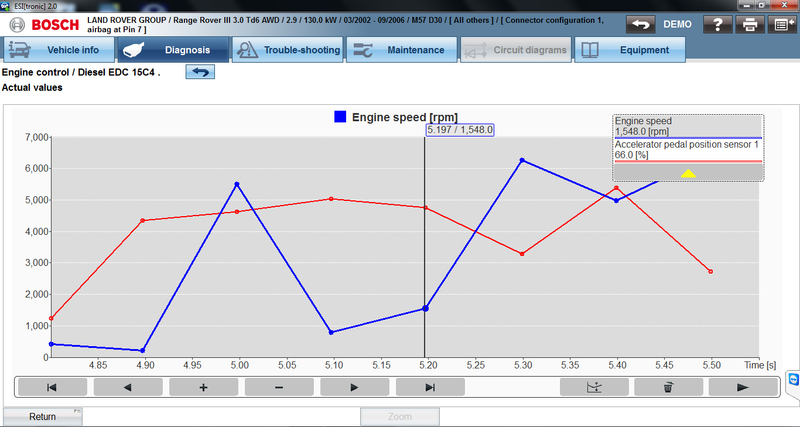 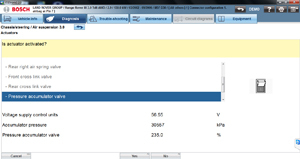 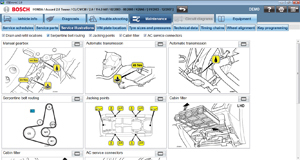 SD - control unit diagnosis using the latest data for passenger car, van and LCV systems. 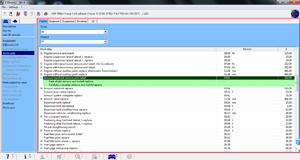 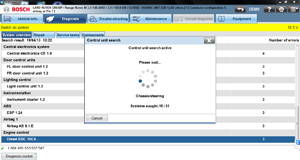 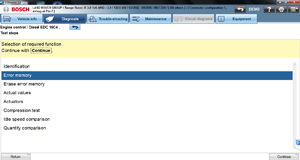 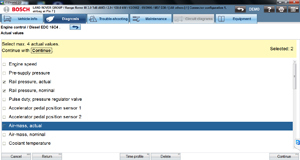 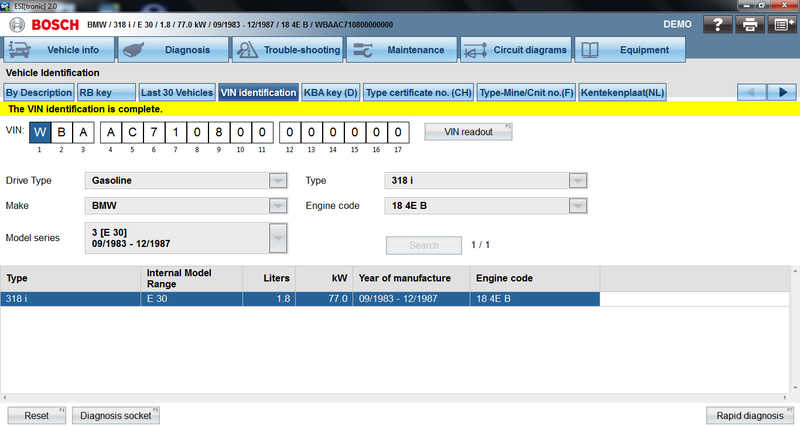 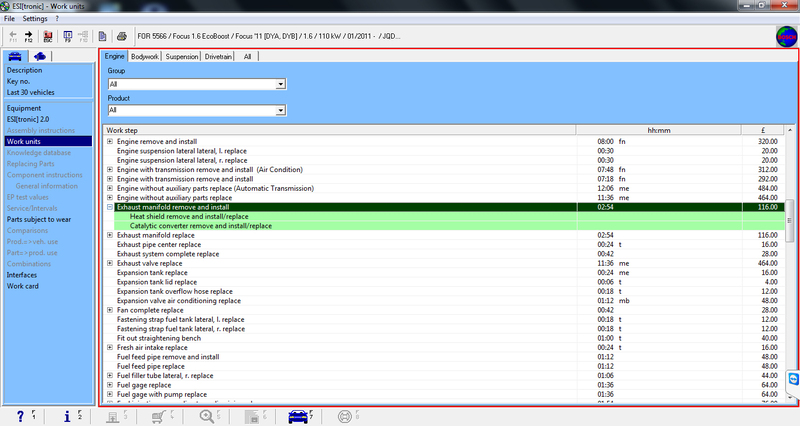 In this gallery vehicle identification and use of the Diagnosis tab are covered. 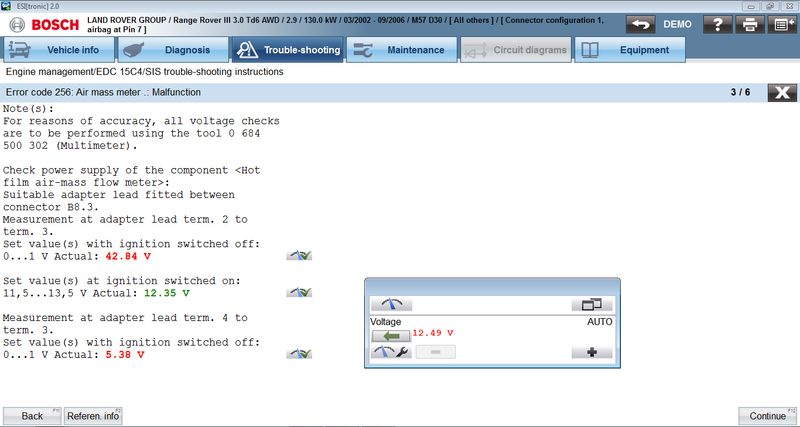 This includes actions such as fault code readout, erase error memory, actual values, actuators, service interval resetting etc. 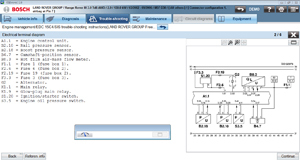 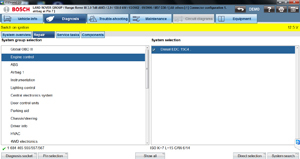 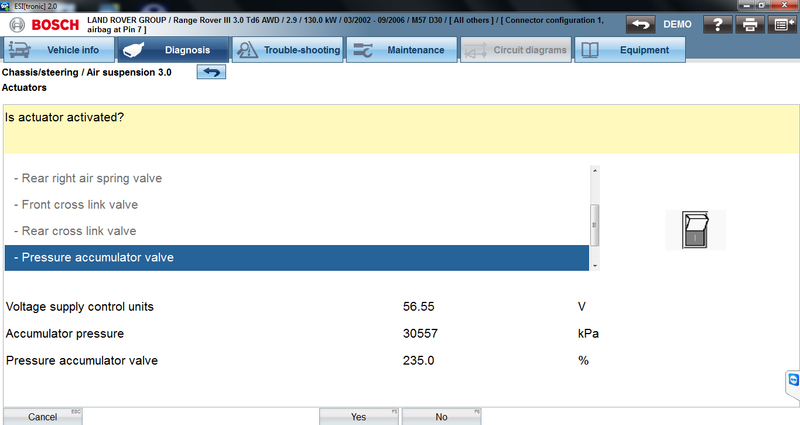 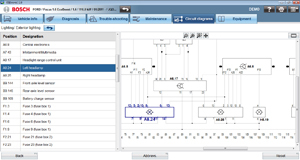 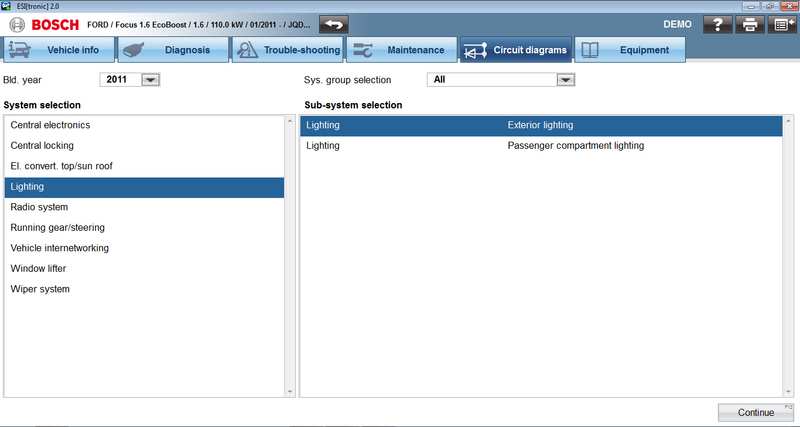 SIS - The worlds most extensive cross-manufacturer combination of SIS troubleshooting instructions and control unit diagnosis. 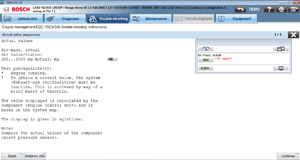 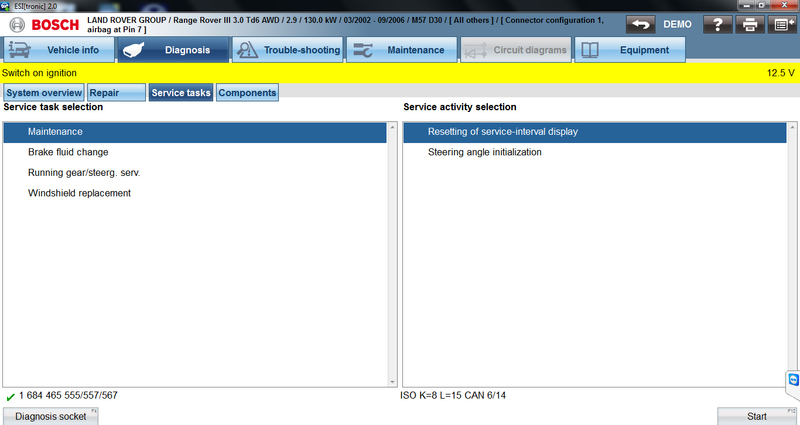 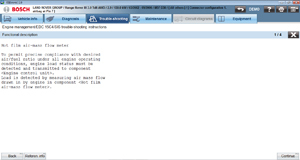 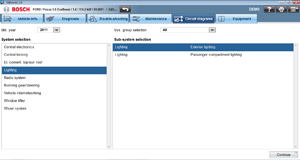 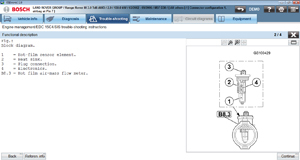 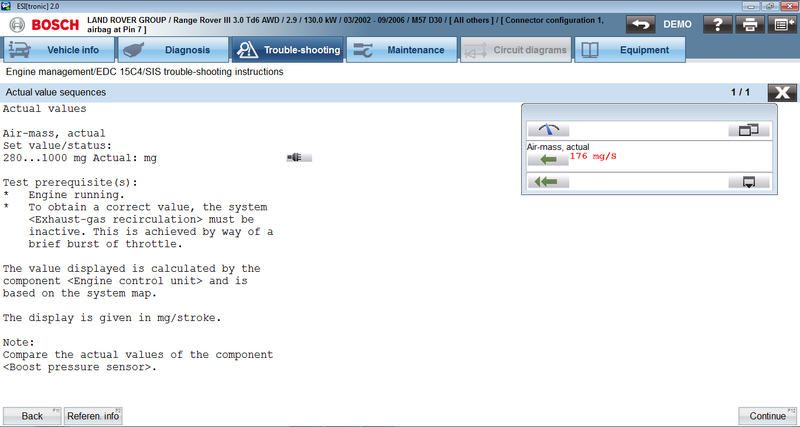 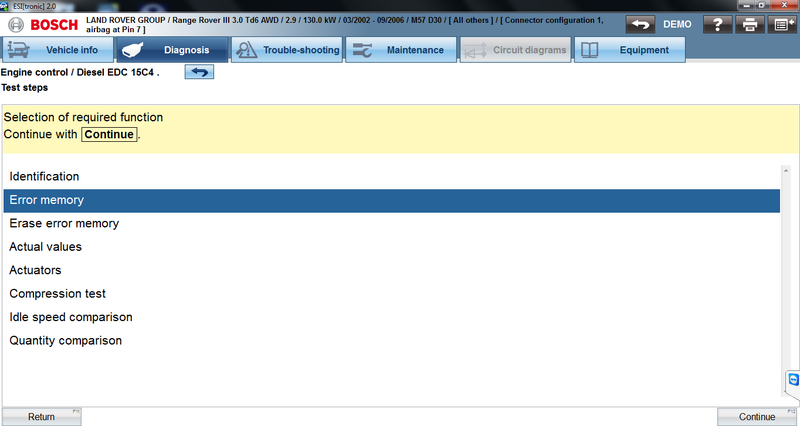 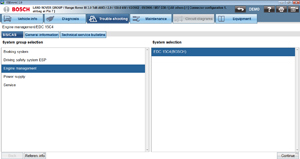 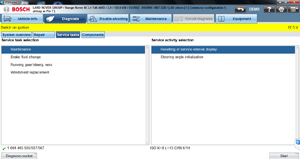 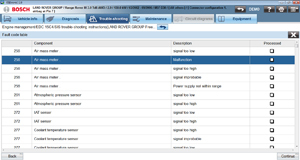 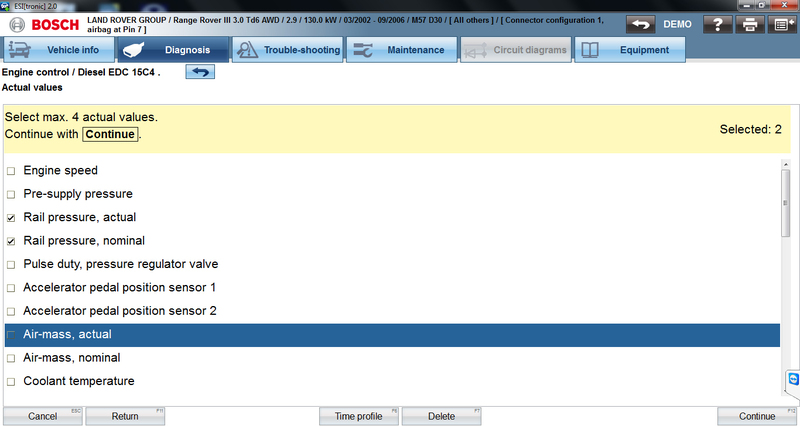 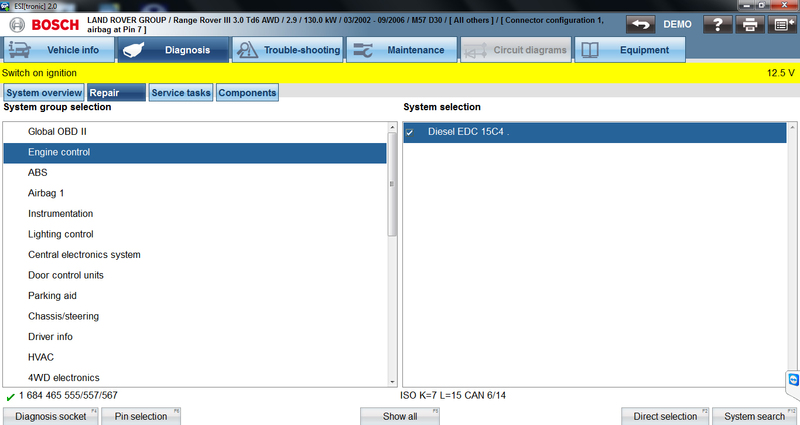 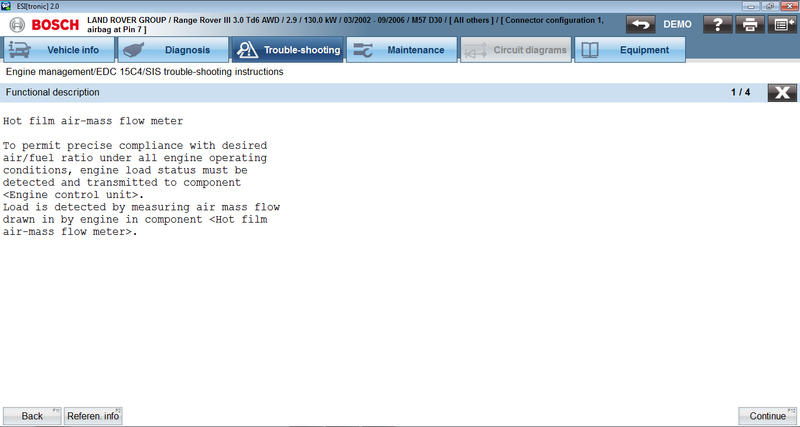 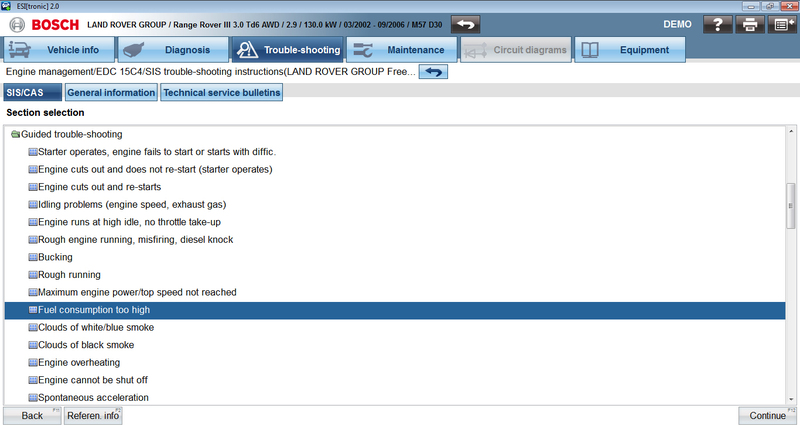 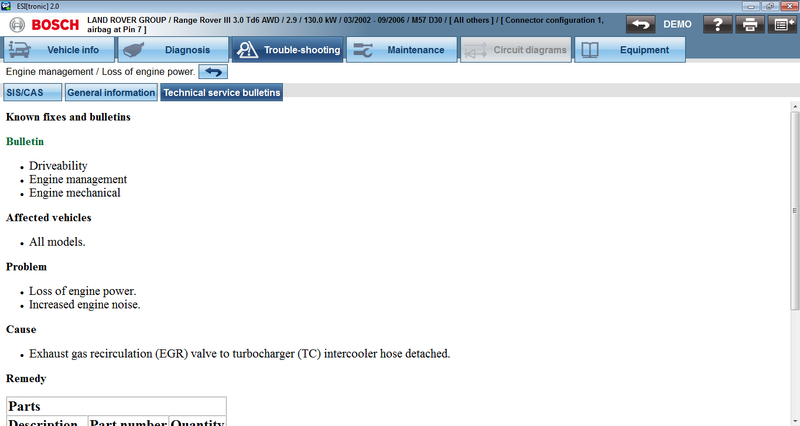 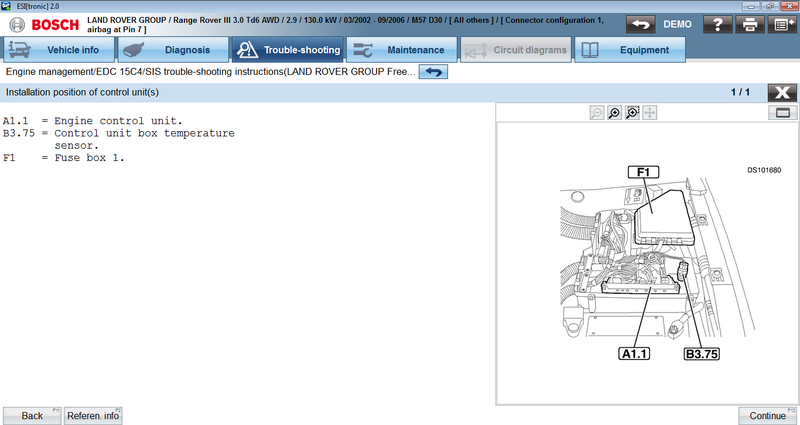 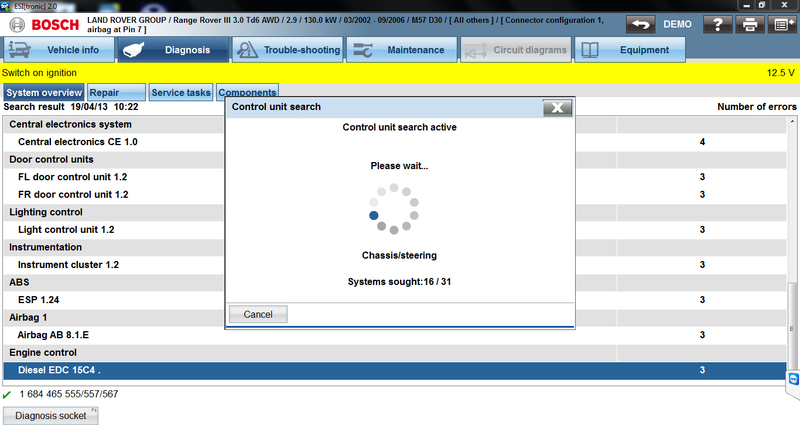 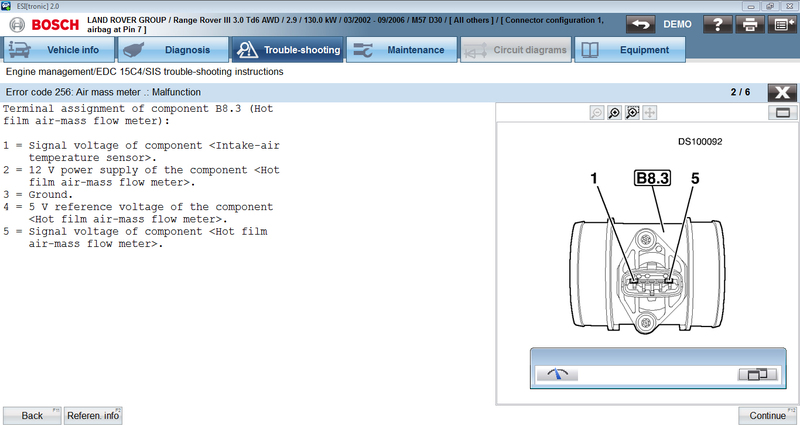 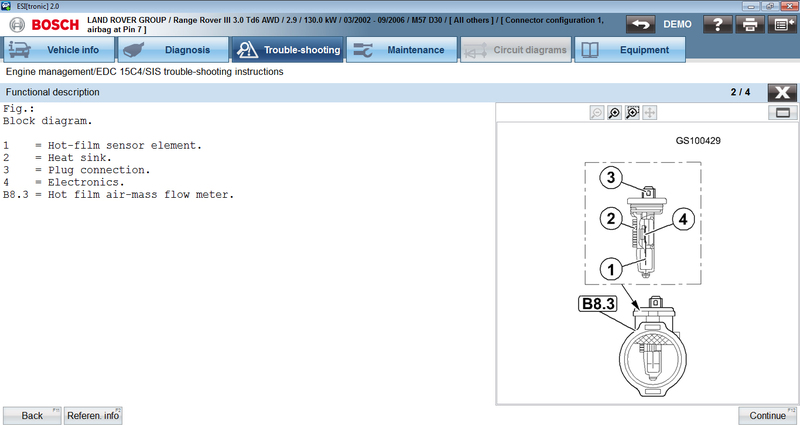 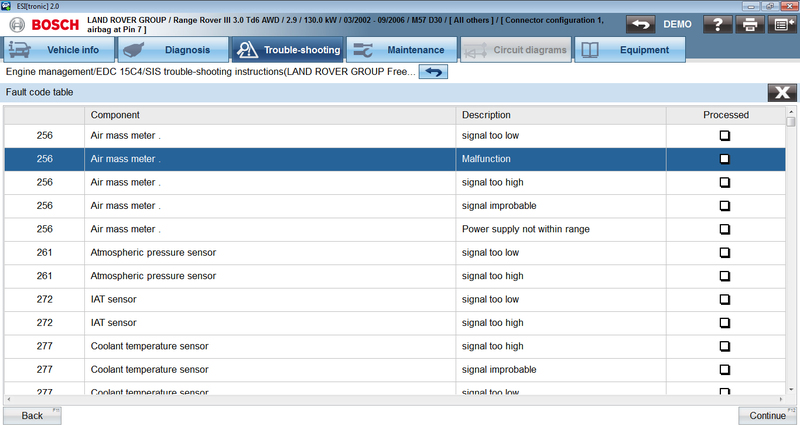 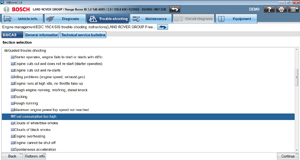 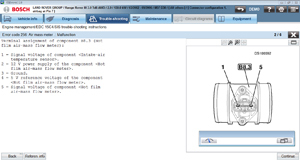 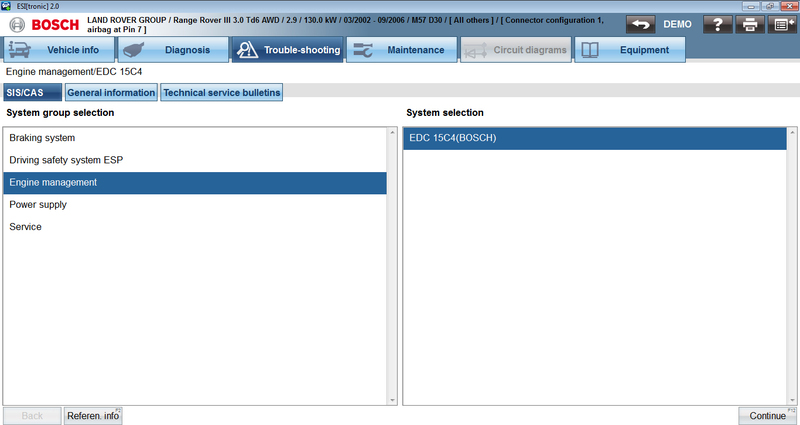 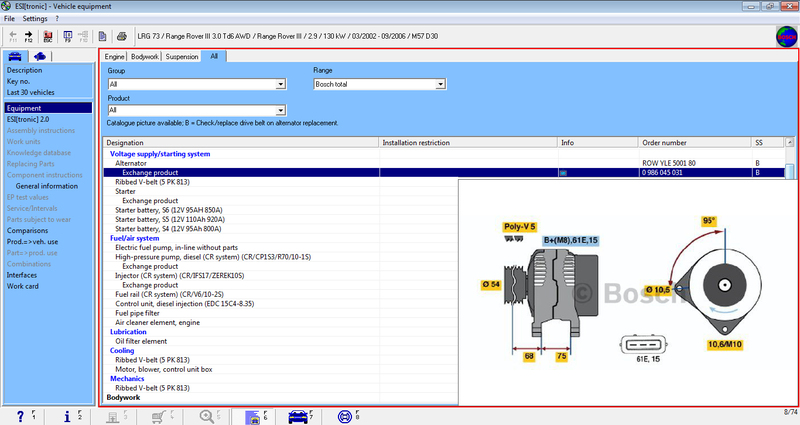 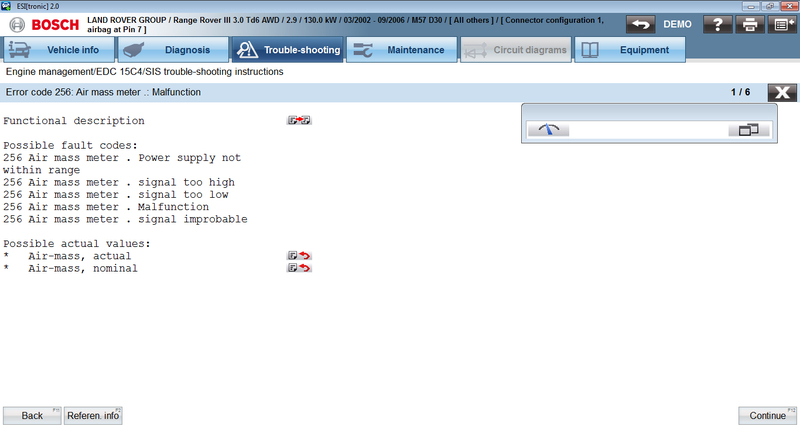 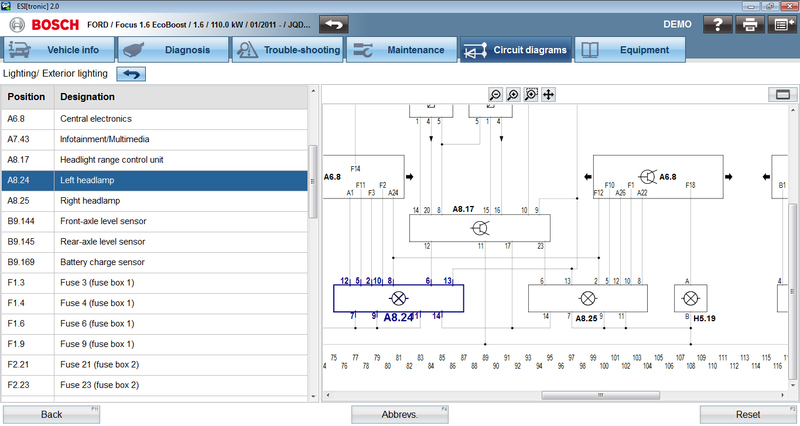 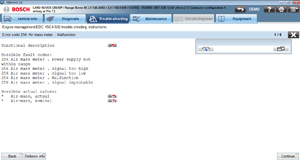 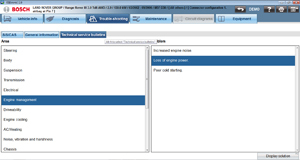 In this gallery some functions of the Troubleshooting tab are shown, such as instructions for a specific fault code, electrical terminal diagrams, detailed component information, test procedures etc. 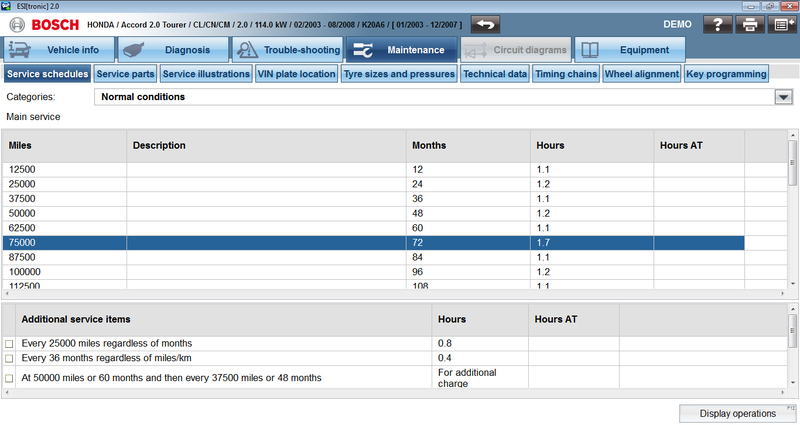 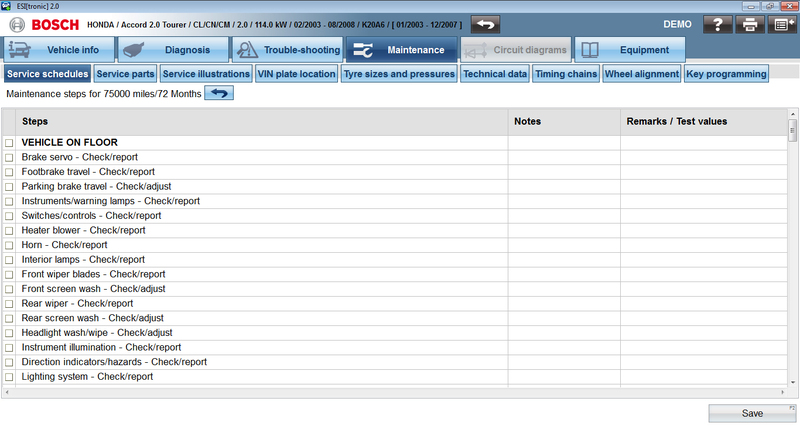 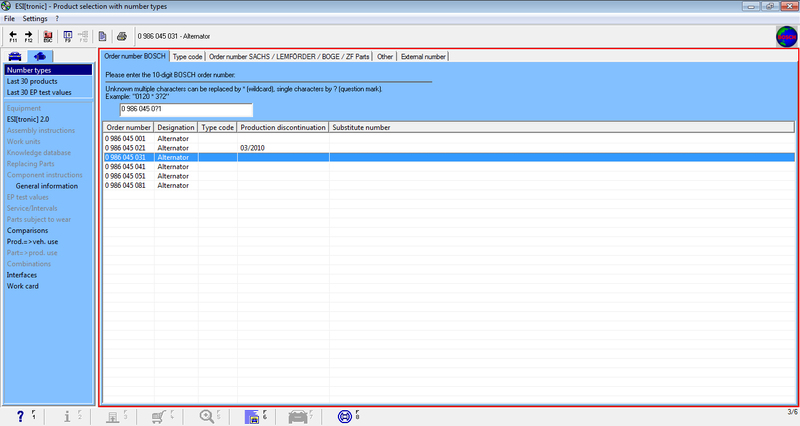 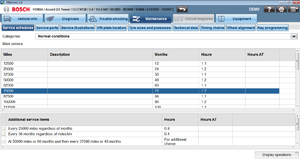 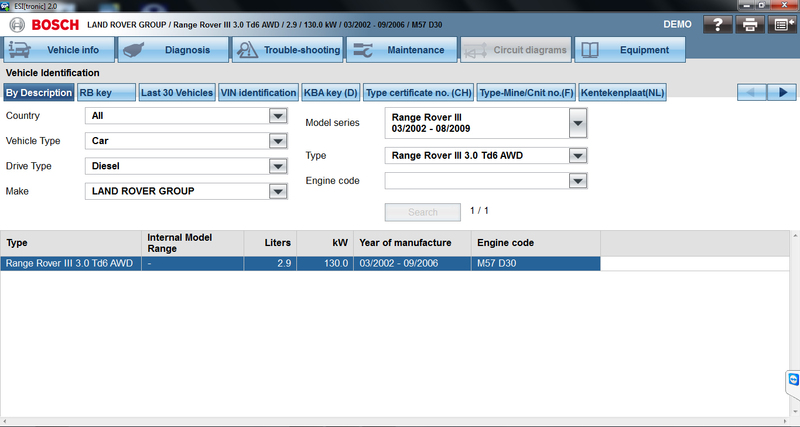 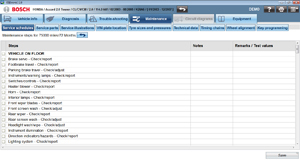 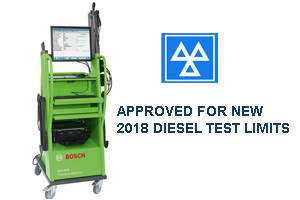 M - The Maintenance tab provides cross manufacturer vehicle information for data such as inspecption and maintenance plans, technical vehicle data, wheel alignment, tyre pressure tables, removal and installation of toothed belts and service interval resets. 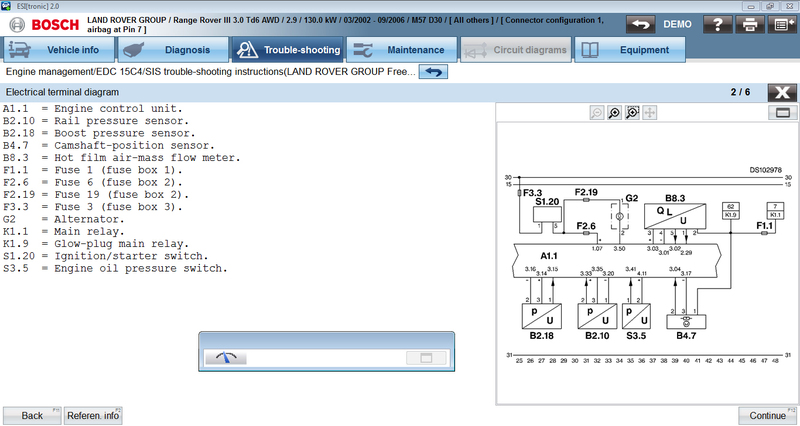 P - Cross manufacturer circuit diagrams for vehicle electrical systems and comfort and convenience electrics represented in a standardised format with zoom and printout functions. 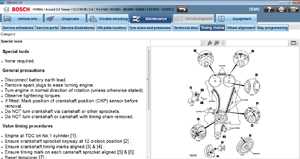 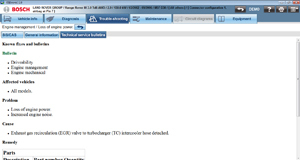 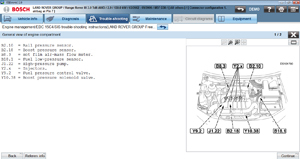 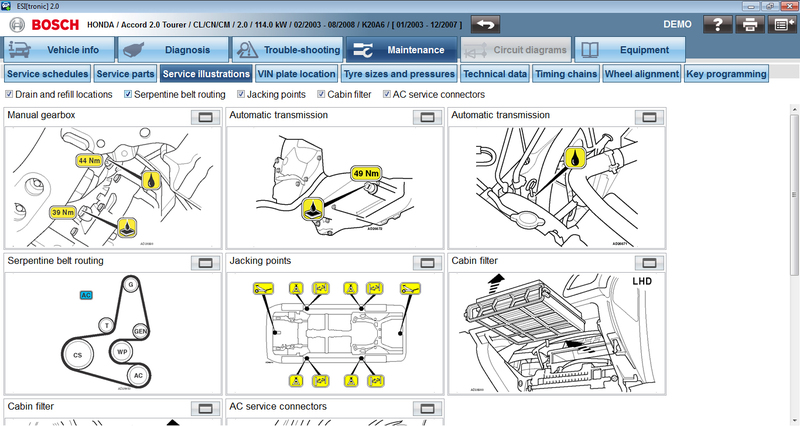 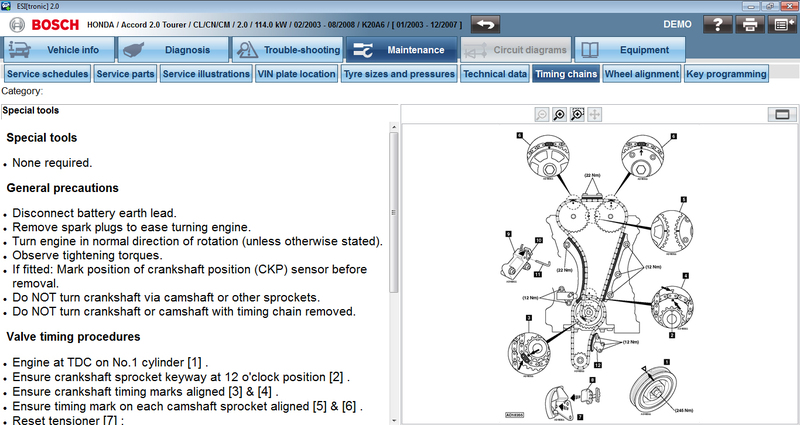 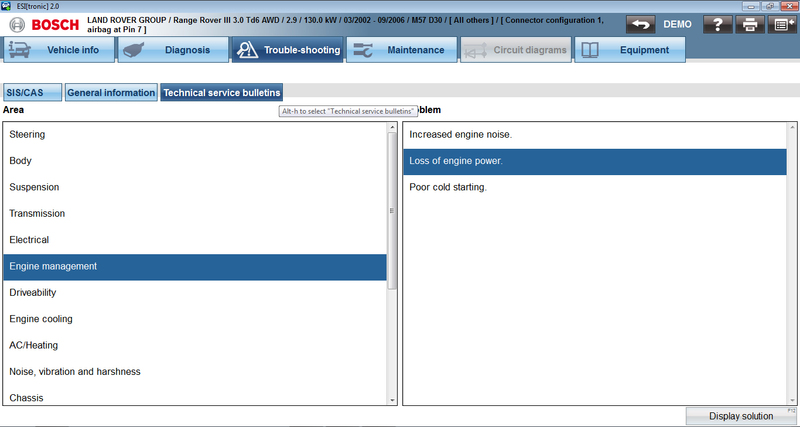 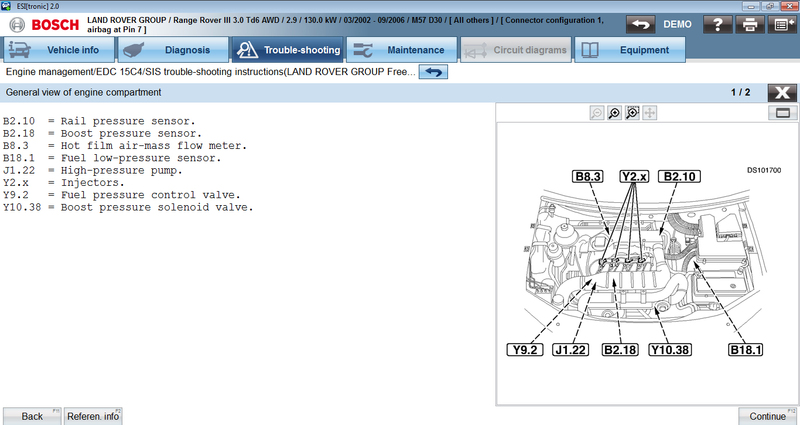 TSB - Technical Service Bulletins give quick access to known vehicle faults, showing a clear description of cause, assignment of symptoms and tested repair tips. 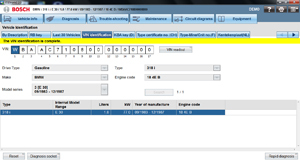 A - Offering access to catalogue and parts information database for around 32,000 passenger cars, 19,000 commercial vehicles, 6,000 motorcycles 8,000 trucks with also tractors and other special vehicles. 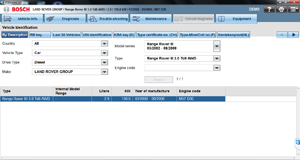 B - Repair times with straightforward and standardised representation of flat-rate units of the various motor vehicle manufacturers in hours:minutes. 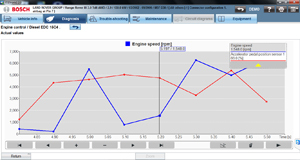 Costs can be displayed in different currencies.